Do not drop, misplace, or lose your NSAR service animal or ESA ID card again. With your ID card securely fastened in our plastic ID card holder with nylon lanyard, it is nearly impossible to forget it. 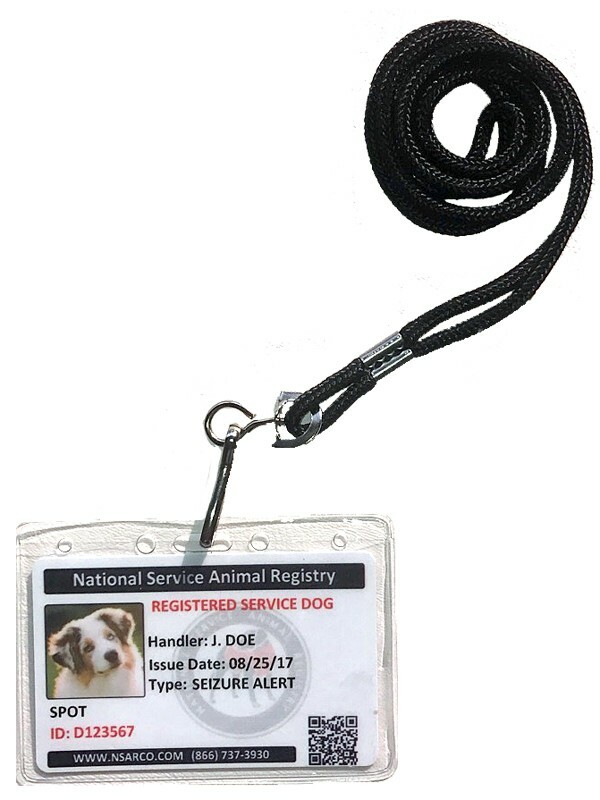 Additionally, by displaying your NSAR service dog or ESA ID card with our convenient, plastic ID card holder and lanyard, you’ll surely expedite your access to public businesses and establishments. Eliminate the uncomfortable time it takes to dig your ID card out of your wallet or purse or the possible confrontations altogether, today! All the answers you'll need! 30-day money back! LIFETIME WARRANTY on every product!